Zaytoun Orthodontics is excited to announce it will be having an open house at their new Garner location (510 Timber Dr. East, Ste. 100) on April, 29th from 5-7 PM. They will be offering live music, catered BBQ, a dessert truck, office tours, raffle prizes and a wide range of refreshments. Local residents, current and past patients, dental partners, local area businesses and local news outlets are ALL welcomed to come and enjoy the festivities and see the new office. The practice, which has three generations of Zaytoun family doctors, has been serving the Garner community for over 45 years. Dr. Henry Zaytoun Jr. is excited to be ceremoniously opening the doors of the brand new state-of-the-art office for the residents of Garner and the surrounding areas on April, 29th. 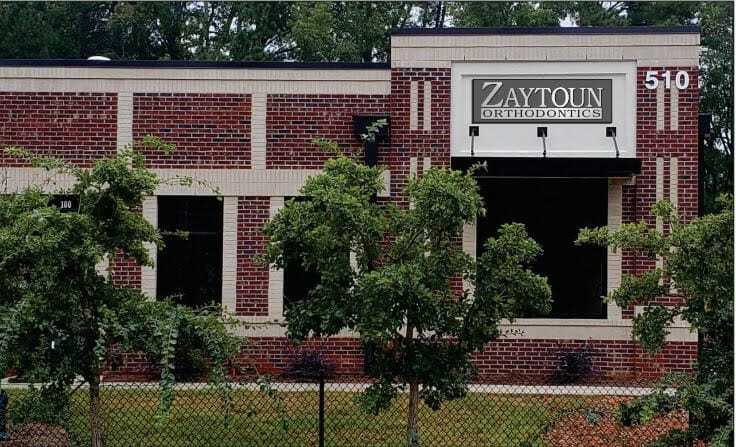 “We at Zaytoun Orthodontics are thrilled to bring this wonderful new orthodontic office to our friends in Garner and southern Wake County and we look forward to creating countless more smiles for current and future Garner area patients and their families”, says Dr. Zaytoun Jr. The new office location is conveniently located just a quarter mile from the White Oak Shopping Center with easy access to I-40 and route 70. With 8 treatment chairs, two consultation rooms, state-of-the-art x-ray machine & Invisalign Scanner, coffee and refreshment station and a cozy waiting area, the office is ideal for anyone looking for a platinum-level experience during their orthodontic journey.